Written by: Different Roads to Learning on January 10, 2012.on October 16, 2018. 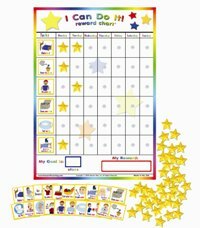 This entry was posted in autism, Daily Living Skills, Difflearn Promo Code, Pick of the Week, Products, Resources, Sale, Transitions and tagged ABA, ADL's (activities of daily living), autism, behavior management, daily routines, Different Roads to Learning, motivating learners, reinforcement, Resources, schedules, teaching tools, Token Boards and Reinforcers, transitions, visual supports by Different Roads to Learning. Bookmark the permalink.